Hey, Owls fans! Looking for some new ways to show off your Temple pride? We’ve got you covered with browser themes, desktop wallpapers, iPhone wallpapers and more for your school. And just in time too, because now is a pretty great time to be an Owls fan. Temple football is putting together a solid season in the AAC, and the basketball team is always competitive. Think the football team is heading to a bowl win this year? Will the basketball team contribute to the madness in March? Be sure to show your support! If the look of the Owls’ official browser theme doesn’t get you pumped up, nothing will. Look at that intensity! That’s sure to get you excited for each and every Temple game throughout the year. The school’s theme keeps you closer to your favorite Temple sports than ever before, with instant access to OwlSports.com, the program’s social media channels, tickets, places to shop for Owls gear and more. Plus, you’ll get all of the latest news in your toolbar, ensuring you’re always up-to-date on your teams. There are no shortage of sports options for those in Philadelphia, but there’s always something special about being able to watch collegiate athletics. And the Temple football team has experienced a resurgence in recent years, making it to two bowl games in 2009 and 2011. And as part of the American Conference, the Owls are putting together another good year that could end with a big bowl game for the school. As a huge Owls fan, you want to be there every step of the way, supporting your team any way you can. The solution? Temple desktop wallpaper! 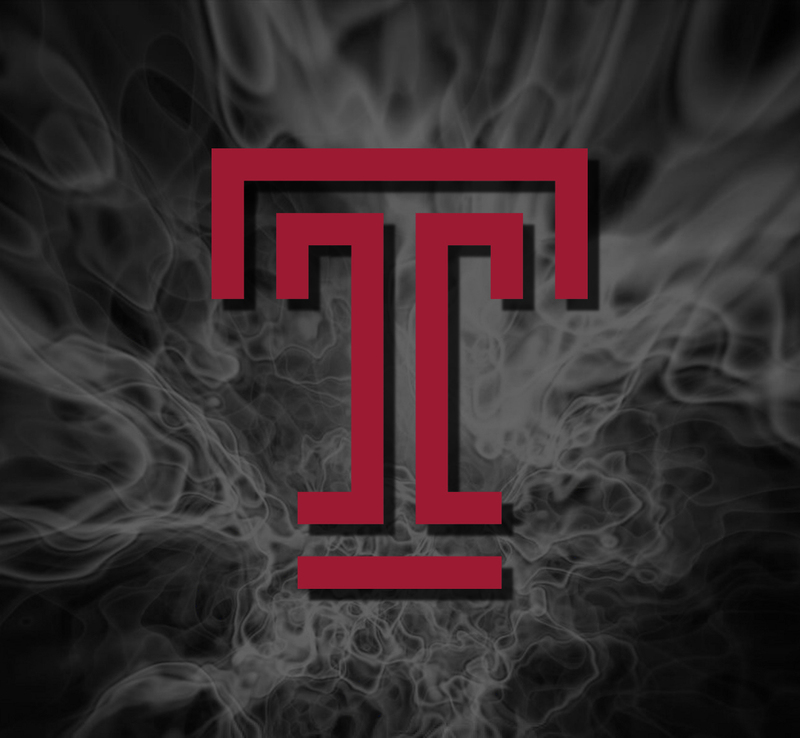 Of course, you’d want to supplement your desktop wallpaper with some Temple Owls iPhone wallpaper, too. After all, you’re looking at your phone every two seconds, right? And if you’ve got an iPad, you’re in luck, because here are some awesome Owls backgrounds that take your iPad game up a significant notch. There are so many dedicated Temple fans out there, and many of them do some really great writing about the school’s sports teams. As a dedicated Owls fan yourself, we wanted to make sure you had access to all of the best Temple sports blogs out there. We’ve included them here, but if there are any that you love that we don’t have, let us know!